January 25, 2019 By Editor & filed under Uncategorized. I always wanted a British convertible sports car but it wasn’t practical with a family of 5 kids. Eventually the kids grew up and now it was time for the boat, car and etc. 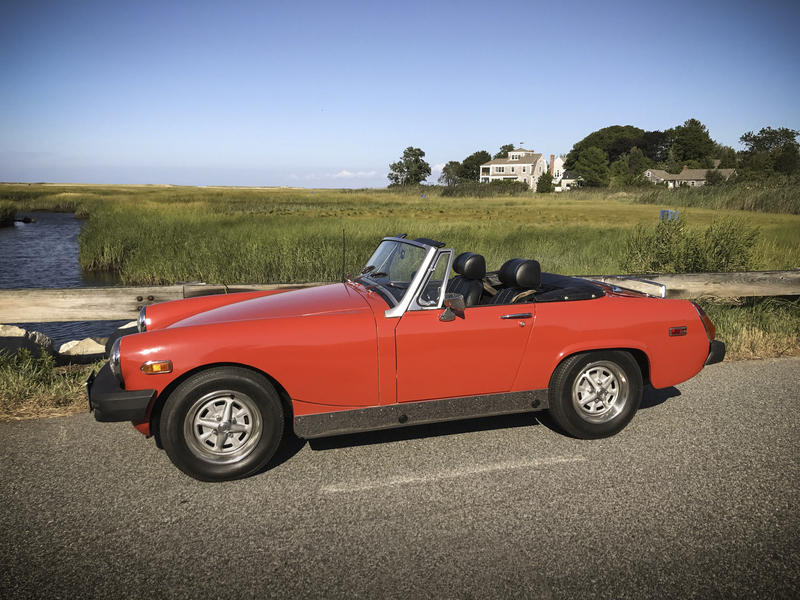 I found this 1976 MG Midget 3 years ago while working as a consulting engineer in a proposed one of a kind indoor auto reclamation facility in Connecticut. With the help of the facilities staff I purchased the car and took advantage of their hospitality to fix minor rust and repaint. I then trailered the vehicle back to my office and hid it in the back garage. I spent over a year on improving suspension, fuel system, exhaust system, brake system, body touch-ups, rustproofing, engine performance and a complete restoration of the entire interior. All the while my wife had no idea I had this car hidden at the office. Spending many late nights working on it I suspect she may have been concerned as to my activities. I put all of the to rest when the showed up at home on a hot Thursday afternoon in July and said to her “lets go for an ice cream”. She gave me that odd look until she saw what was in the driveway. To say she loved the car would be an understatement and the ice cream was good too. Now the Midget is our official Cape Cod ice cream car. It receives loads of attention and comments at the local ice cream venues. 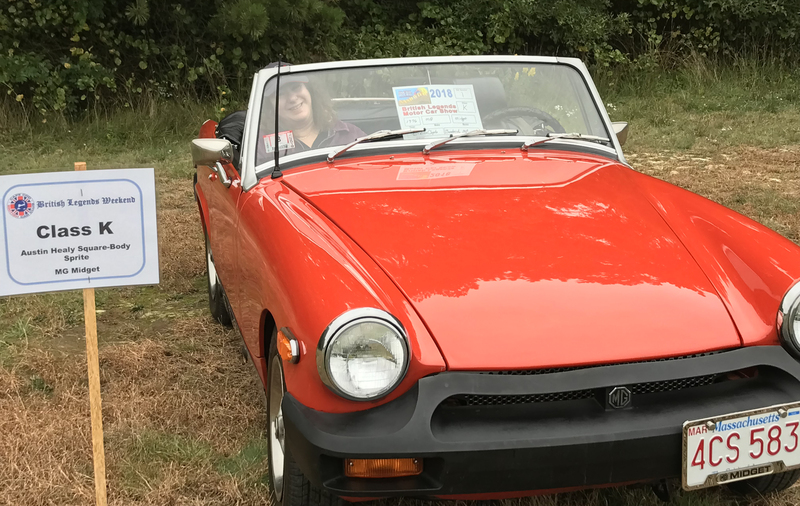 Making our MG even more special it took first place in its class at the 2018 Cape Cod Car Club British Legends Weekend Car Show this past October.